For Flynn, now dedicated to tethering himself to the Library, this means studying it and learning a lot of the tricks that Jenkins knows. The motive for this is easily skewered by Jenkins - Flynn is having the iciest of cold feet and is actually afraid of leaving the Library in case he doesn’t come back. For a practical stand point this means Flynn is a support figure for this episode rather than a main character. And I approve. As the most experienced and the Original Librarian as well as having a larger-than-life personality, Flynn just eats every scene he is part of. Which works as a solo character but not as an ensemble cast. But I will say, Librarians does an excellent job of keeping him both part of the show and making sure he is put in supporting roles for most episodes so he doesn’t take over. If this show has a protagonist rather than 4 co-protagonists, it’s Eve, not Flynn. 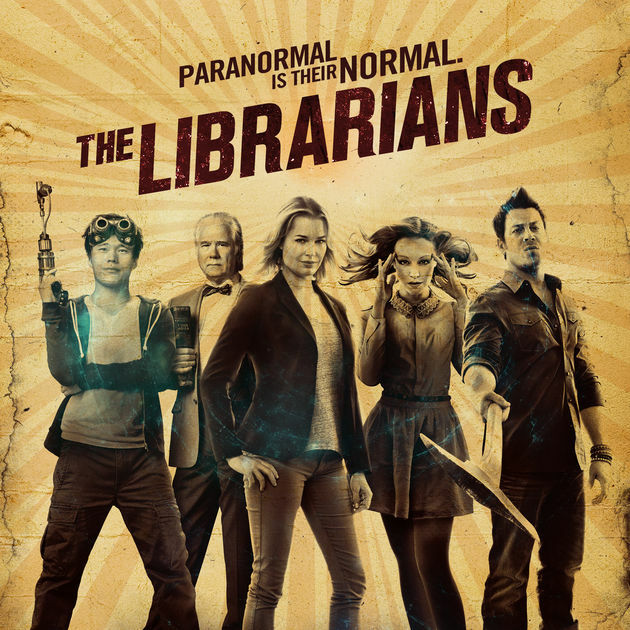 The rest of the gang are facing the truth that being a Librarian means you can’t have a normal life - no friends, no relationships. As Flynn points out, you have to be like celibate monks (Ezekiel protests that Flynn and Eve are together which Flynn declares doesn’t count - as she’s Library attached though Eve doesn’t hear “doesn’t count” well, obviously). Personally I think this is a terrible Casino and wonder why there is anyone there at all? I mean, sure the House wins every time, but if your punters don’t win at least a little then word gets round and no-one visits. Can you imagine the Yelp reviews? And isn’t there some kind of body/commission that regulates gambling that would be all over this? There there’s a classic menacing scene but Cassandra (who is now a lie detector?) predicts that the tough guy isn’t all that bad. More worryingly his wife is - he isn’t wearing a Fortuna ring because it has woo-woo, but because she is Fortuna, 3,000 year old goddess and Not Happy. She has a paranoid rant about Jupiter sending minions to turn her back into a statue - and half of her hand has apparently turned back into bronze. Thankfully Fortuna’s husband is kind of done with all this, not being a hardened thug and helps them with some escapes and some insider knowledge: Fortuna is turning to bronze and it started when Cassandra broke the curse: she needs the stolen luck to stay human. I also like how Eve & co change tone a lot when they realise he’s a physically abused victim more than a co-operating ally of Fortuna: there’s no doubt or question that he can be an abuse victim. So it’s time for lots of Librarian shenanigans to cheat the whole casino - fixing the horse race, the slot machines and somehow having Cassandra mind control the roulette players (has her powers exploded all of a sudden) to have everyone cheat and break the spell. In doing, Fortuna becomes a statue. Victory!!! But also some, albeit brief, arguments about Fortuna. Even as they lock away her statue they recognise life as a statue is pretty awful. And yes, a world ruled by luck could be pretty awful but she did win that competition from Jupiter and there is an edge of a male god fearing a woman with power (especially in Patriarchal Rome).